The most well-known tourist attractions in Canada are Niagara Falls, Stanley Park in Vancouver and the CN Tower in Toronto. There are however many different things that you could do in Canada that you are probably not aware of. This article will list the other standout activities to do whilst in Canada. this one of a kind location full of twists and turns that will keep young children happy for hours on end. Located in North Vancouver, the Capilano suspension bridge is a must do activity if you are in the area. The bridge goes above the Capilano River and is 140 metres long and 70 metres. For more information on the bridge visit the official capbridge.com website. The Yoho National park might not be in the top ten things to do in Canada but most certainly deserves to be. The park is based in the Rocky mountains and offers amazing views, incredible waterfalls and is above 4,900 feet above sea level. The park is connected to to the other famous Canadian National parks including Jasper, Banff and Kootenay. For those that love hiking then in Yoho National Park is paradise with over 400km of trails ranging from short walks to full day hikes. As this is Canada it is best to travel between July and September as there the weather is nice and there is no snow/ice on the trails. 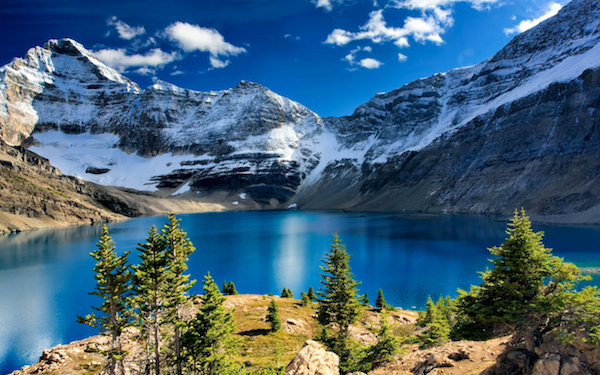 If you have some free time during your trip to the National Park , you can play Canadian online casino games from your mobile and you can win easily real money for the rest of your trip. 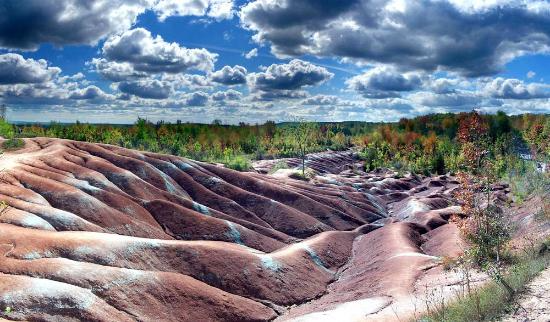 The Cheltenham Badlands is another place that you probably hadn’t have heard of but is a definitely must if you are in the Ontario. The beautiful red hills and valleys formed as a result of overgrazing which look like a martian landscape. These amazing fossil cliffs are located in the beautiful region of Nova Scotia and is a UNESCO World Heritage site. These exposed layers of rocks are home to the world’s most complete fossil record of life 300 million years ago.